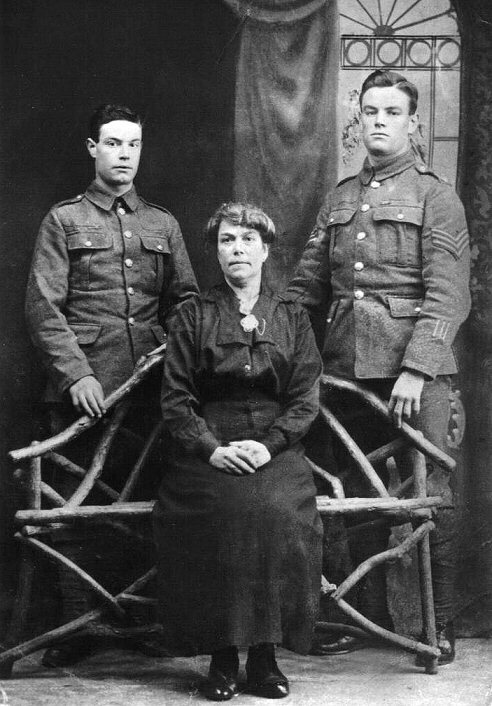 Private Birch (1884) was born in Bewdley on 27th September 1893. He landed with the 1/7th Battalion Worcestershire Regiment at Boulogne, France on the 31st March 1915. On the 15th May 1915 the Battalion became part of the formation of the 144th Brigade, 48th (South Midland) Division. 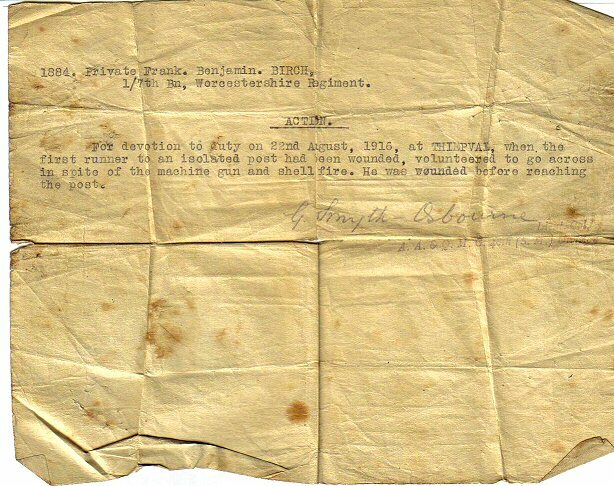 He was awarded the Military Medal (then a Private) for his actions on the 22nd August 1916. He was wounded 3 times in action (note the 3 vertical wound stripes on the bottom of his sleeve). His original army number of 1884 later changed to 200256 and the again to 72337. 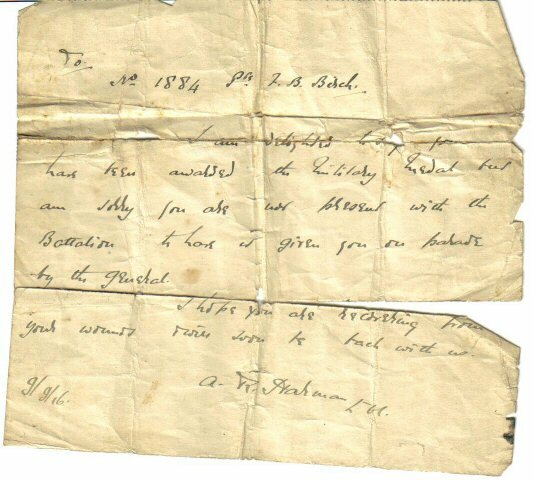 "I am delighted to say you have been awarded the Military Medal but am sorry you are not present with the Battalion to have it given you on parade by the General I hope you are recovering from your wounds and will soon be back with us."